In a fitting tribute, journalists are reminding us all that at this very moment as NFL players begin reporting for training camp, two excellent players are being unfairly exiled from the league. Colin Kaepernick and Eric Reid were the most high profile and visible leaders during the 2016 and 2017 seasons respectively of the movement whereby thousands of demonstrations during the national anthem ensued in protest of racism in America. Colin Kaepernick started this generation’s iteration of the protest, which had been undertaken many times before by various heroes during the civil rights era and earlier. After Kaepernick was blackballed by the league the following season, Eric Reid took up the torch and has now found himself facing the same fate. Many journalists and pundits have attempted to minimize the racist basis for these acts by pointing out that others who have protested were picked up by teams, thereby purportedly debunking the assertion that the failure to sign Kaepernick and Reid were motivated by their protests and, relatedly, racism. This is, however, an incomplete and amateur analysis. The most effective way to kill essentially any creature and most movements is to remove its head. 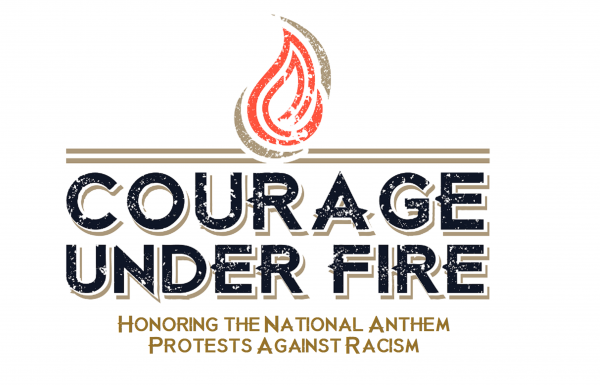 Minor participants in this movement are no threat to the NFL; but individuals who take up leadership positions and who have influence need to be made an example of. This is reminiscent of “buck breaking” during the enslavement of our ancestors–taking the strongest individual and killing him or her in the most heinous, barbaric fashion to instill fear in the remaining captives. In 2017 during the negotiations between the NFL and the Players’ Coalition resulting in what amounted to a $90 million bribe to convince players to cease protesting, Kaepernick was all but forgotten; when instead he should have been the centerpiece and starting point of any negotiation. The same sentiment now extends to Reid. That a single player suits up given what Kaepernick and Reid are being subjected to demonstrates just how uncommon it is that individuals will do the right thing in the face of difficulty. Indeed, as each player shows up to training camp, he should reflect on the absence of these two players, and, most importantly, why they’re missing–for taking a principled and bold stance in support of equality and justice for their people and themselves. And each player should also reflect on the fact that they could be next victim of the league’s racism; and if they are who will stand up for them? Article below by Brett Martel at tampabay.com. As NFL training camps opened this week, complete with interminable speculation about position battles, rookies who might make an impact and what players can or can’t do while “The Star-Spangled Banner” is playing, let’s remember two players who aren’t suiting up.